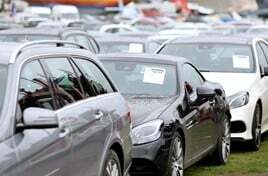 Car dealers' used car stock levels have risen by 12% year-on-year, according to data published by Motors.co.uk. The online retail platform's monthly data analysis showed that the average retailer had increased year-on-year stock levels from 59 to 66 cars since February 2018, while average days in stock remained unchanged at 44. The Market View report also revealed how independents sold used cars faster and held lower stock levels than their counterparts in the franchised sector. “Used car forecourts were busy in February with dealers achieving a solid performance of 44 days in stock, compared with the 47 days it was taking them to sell cars in January,” said Dermot Kelleher, Motors.co.uk’s director of marketing and business intelligence. “However, the rise in stock volumes suggests some dealers were carrying extra vehicles with an average of seven additional cars per forecourt, potentially in an attempt to maximise conversions from forecourt visits to sales by ensuring they had more choice. "While this is clearly good for buyers, some dealers would have been nervous at making the extra investment and will be looking to trade those cars as quickly and profitably as possible." Stock levels in franchised sites averaged 62 cars in February, taking 49 days to sell. Independents averaged 46 cars in 46 days, while supermarkets stocked an average of 1,950 cars and averaged just 30 days in stock. Diesel accounted for 50% of used cars for sale in the market, down from 54% 12 months ago, with petrol growing from 44% to 50%. However, diesels sold faster than they did 12 months ago at an average of 43 days, compared with 56 days last year. Petrol cars averaged 44 days in stock, compared with 42 days a year ago. The fastest-selling car on the Motors.co.uk platform in February was the Vauxhall Vectra, selling in just 26 days, followed by the Volvo V70 (27 days) and Peugeot 206 (28 days).